Happy Friday to my #GameofThrones fans! HBO’s president of programming Michael Lombardo announced this week that he anticipates three more seasons of Game of Thrones before its done! Which means the original anticipated seven is getting an extra year! How awesome is that? There might also be talks about a prequel in the works, HBO is definitely game for a prequel series if showrunners David Benioff and D.B Weiss sign on to write it. This is extremely good news, since lately we’ve been discussing the end of GoT and what that might mean for a possible prequel. I would love to see the story of Rhaegar and Lyanna, and how little baby Jon Snow was born. This might mean the return of actor Sean Bean who played Ned Stark – Lyanna’s brother. Okay, we’re getting way too excited about this because it might not even happen. But yay for season 8! Lombardo also stressed that Jon Snow is definitely dead, but obviously he’s not. Technically, yes, he’s dead, but he’s coming back. We have pictures to prove it! 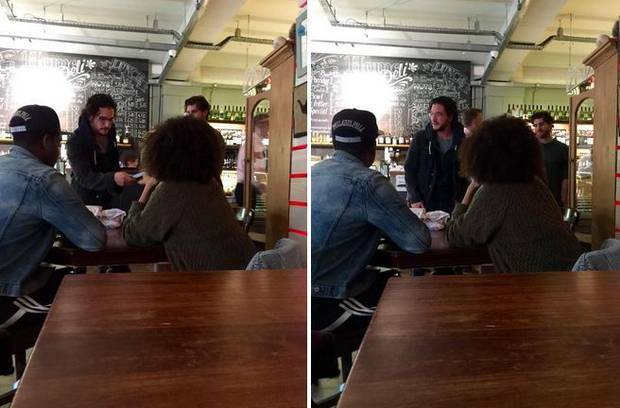 – Jon Snow spotted in Brisbane where they’re shooting the upcoming season. What do you guys think? Is Jon Snow coming back as himself next season, or maybe a direwolf? A Dragon? Or, is he really dead?? Also, prequels, what do you guys want to see? Previous Article SISTERS – OFFICIAL TRAILER!